Designed from UCP Wheels for Humanity’s 19 years of service in 70 nations, the UCP Liberty has all the intermediate positioning features that are standard in the high-end commercial market at an affordable price. The Liberty is adjustable, rugged, repairable and growable so that kids can be independent and happy for years. 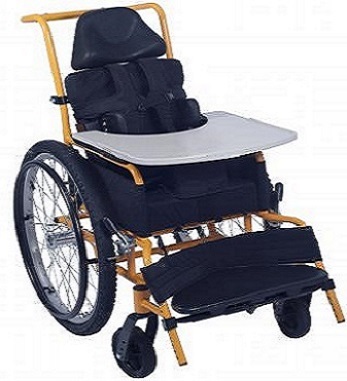 Common system requirements of the WHO compliant intermediate wheelchair service were built into the chair so that service can function effectively and efficiently.